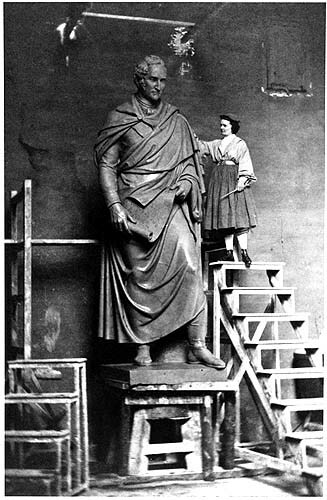 Harriet Hosmer in her Rome studio, at work on a statue of Missouri Senator, Thomas Hart Benton, 1865. 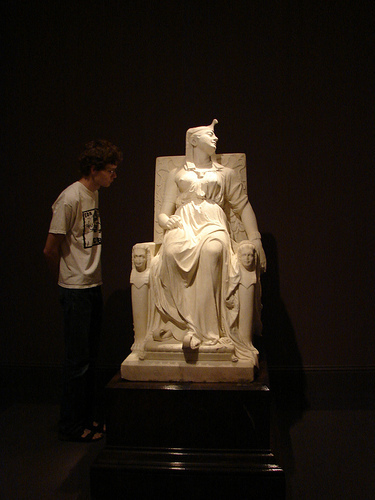 Harriet Hosmer, Zenobia in Chains,1859. 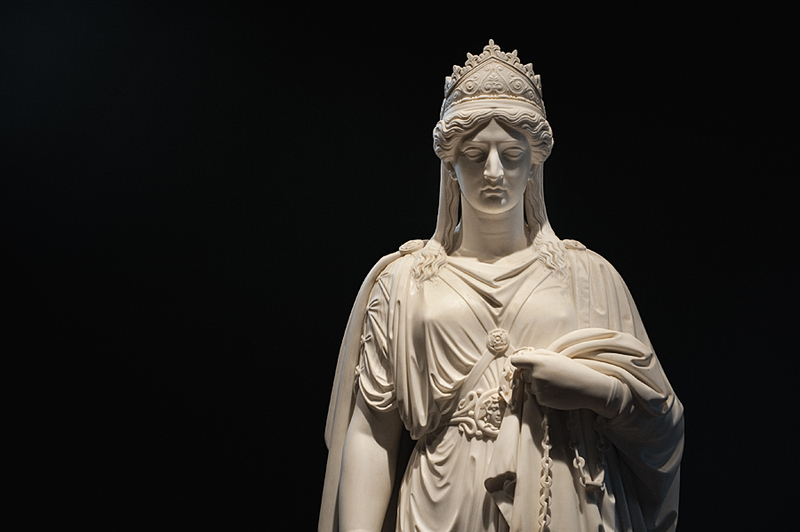 Harriet Hosmer, Zenobia in Chains (detail), 1859. 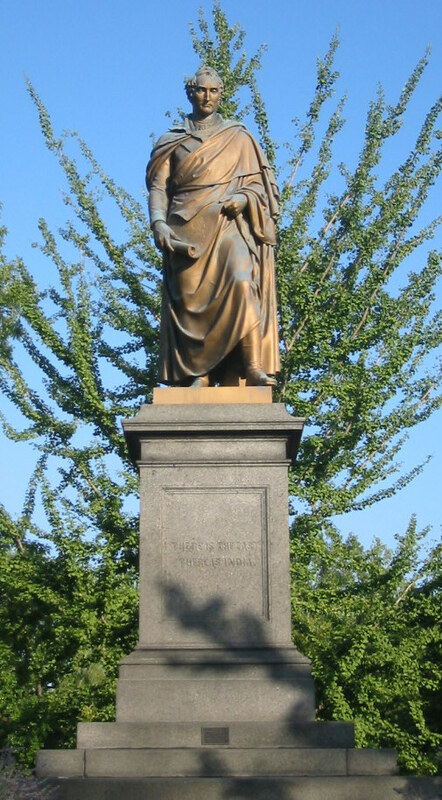 Hiram Power, Greek Slave, 1847. 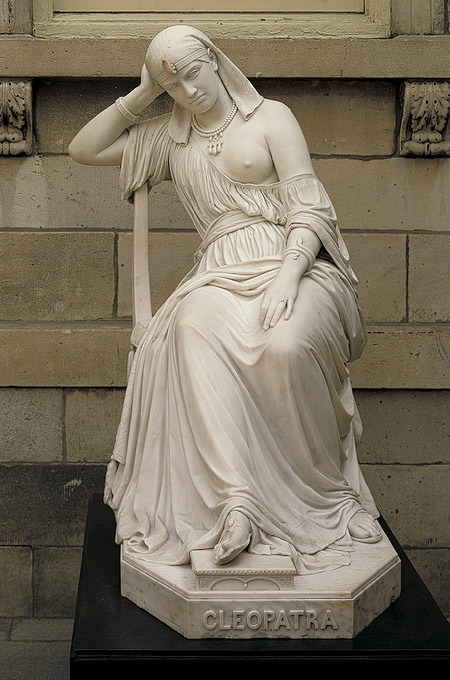 Harriet Hosmer, Zenobia in Chains, 1859. 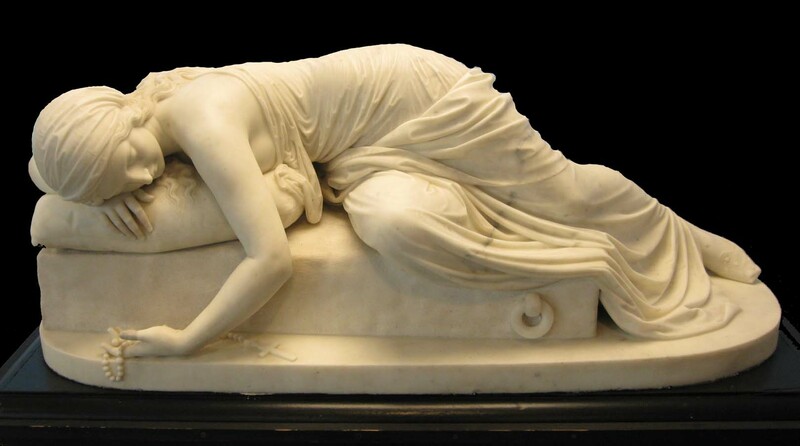 Harriet Hosmer, Beatrice Cenci, 1857. 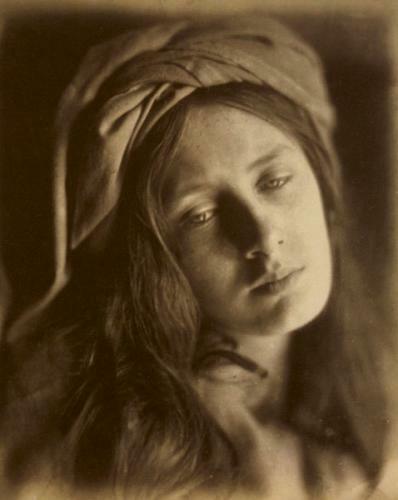 Julia Margaret Cameron, Beatrice Cenci, 1866. 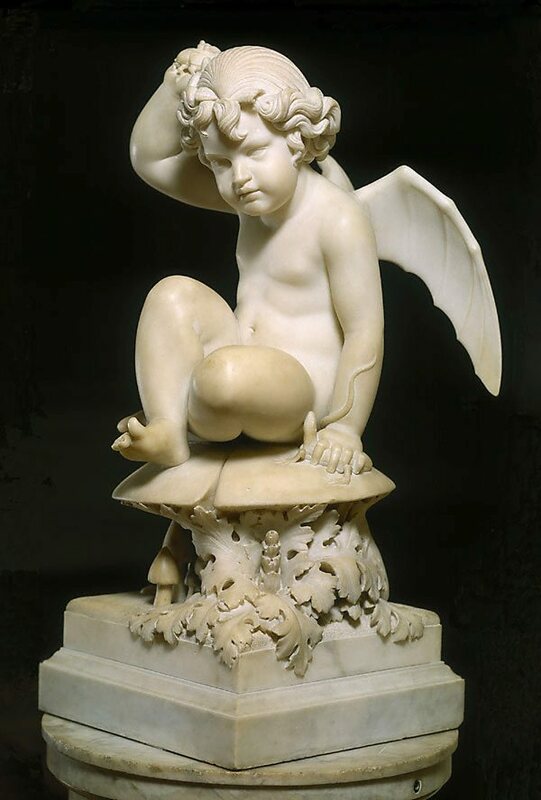 Harriet Hosmer, Puck on a Toadstool, c. 1855 - 1856. 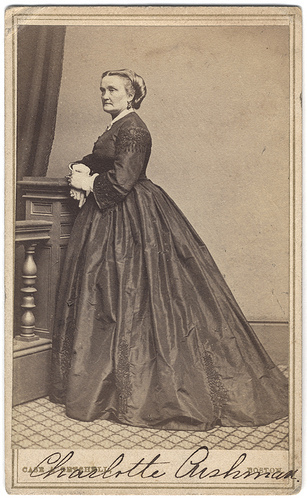 Henry Rochner, Carte-de-visite of Edmonia Lewis, c. 1870. 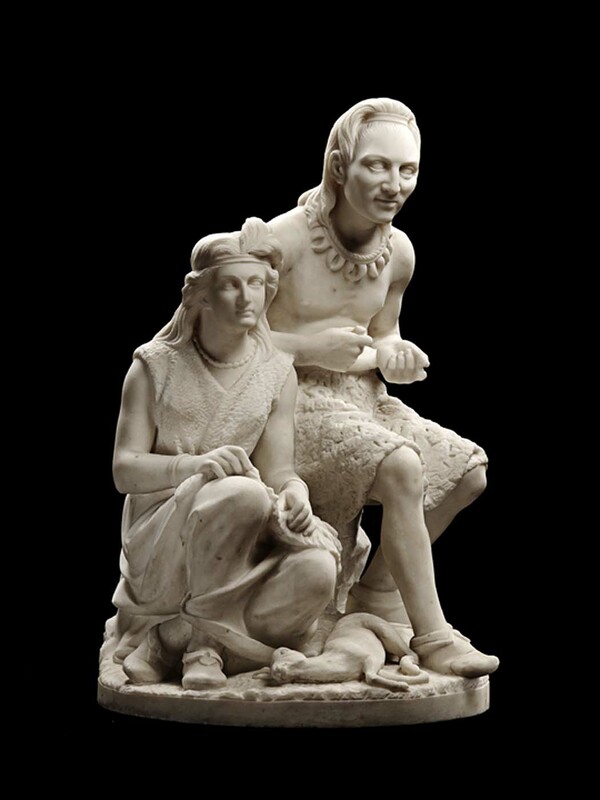 Edmonia Lewis, Old Indian Arrowmaker and His Daughter, 1866 - 1872. 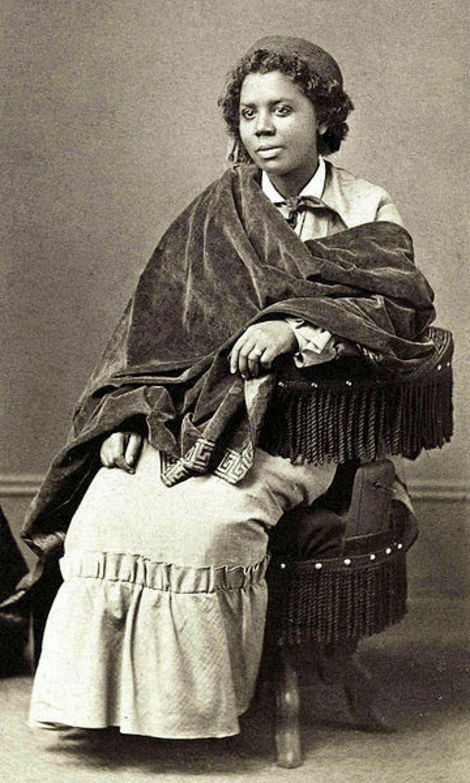 Edmonia Lewis, Hagar in the Wilderness, 1875. 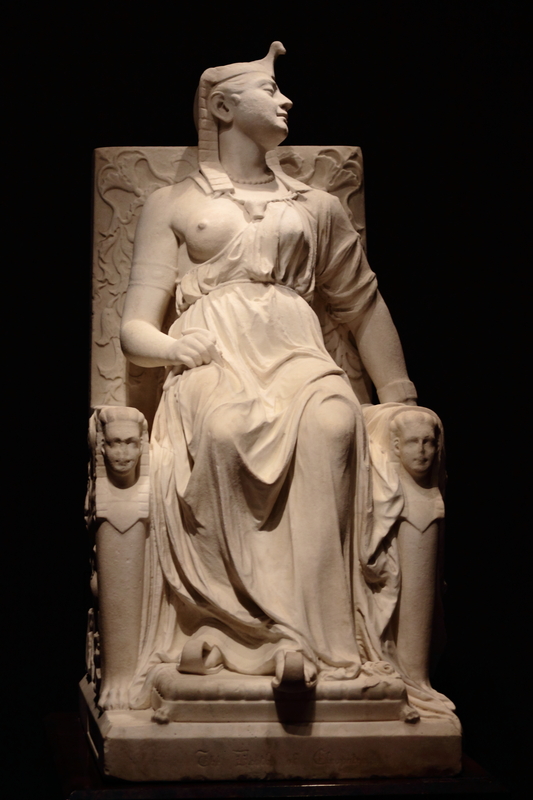 Edmonia Lewis, The Death of Cleopatra, 1876. 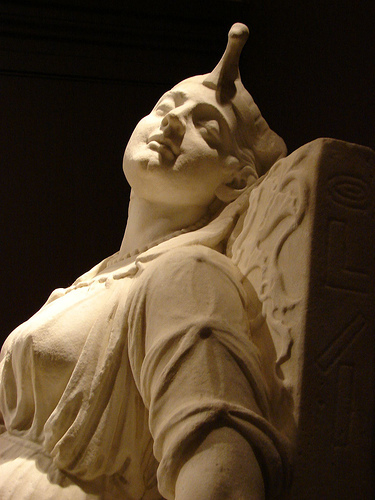 Edmonia Lewis, Death of Cleopatra (scale and detail), 1876. 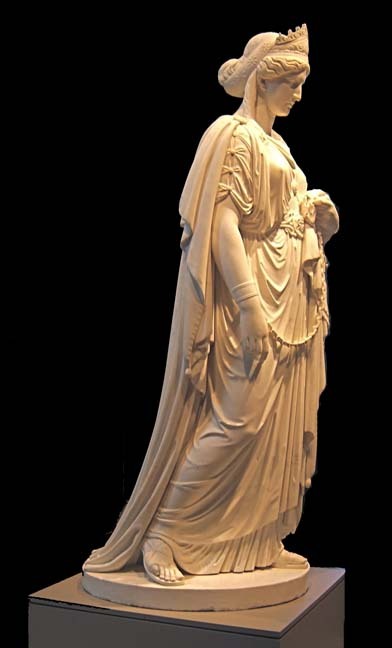 William Wetmore Story, Cleopatra, 1869. 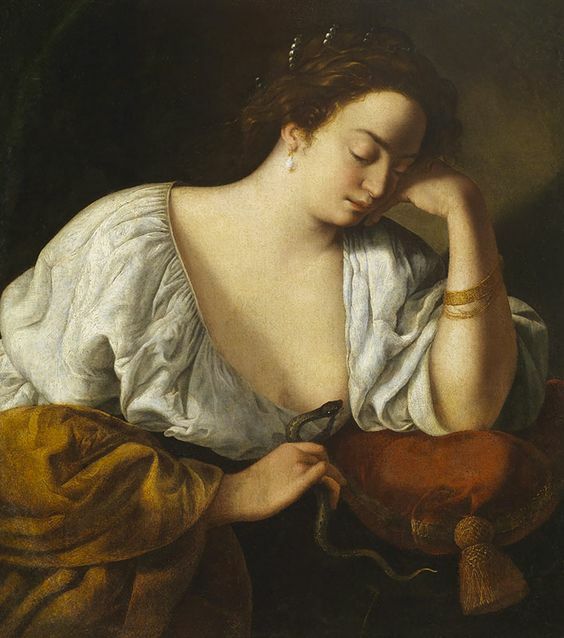 Artemisia Gentileschi, Cleopatra, date unknown. 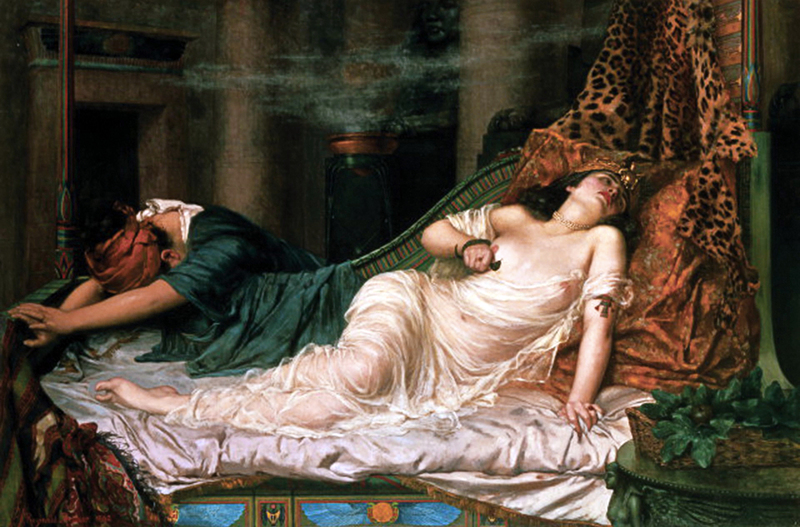 Reginald Arthur, Death of Cleopatra, c. 1914. 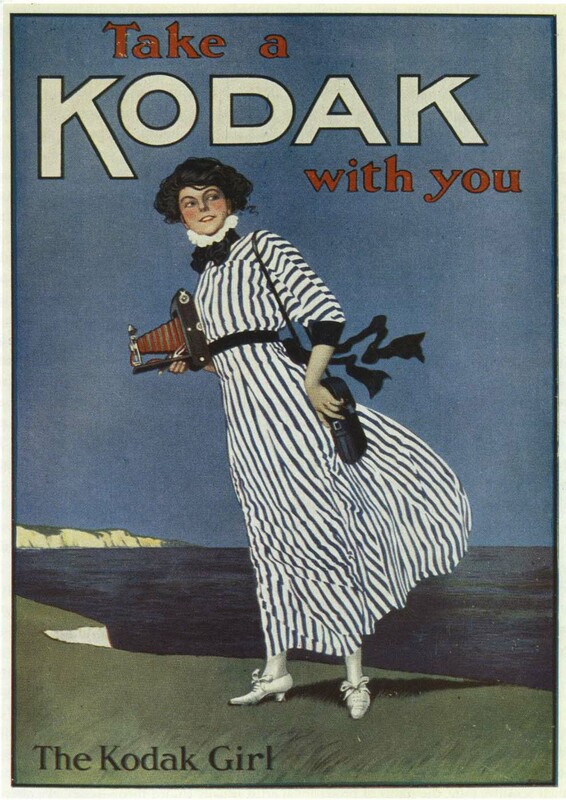 The Kodak Girl, Australian Photographic Review, 1911. 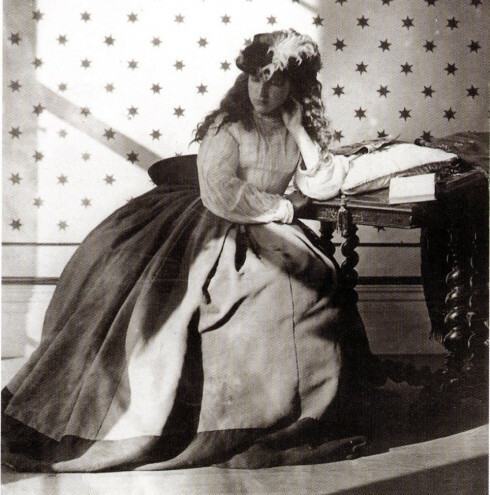 Lady Clementina Hawarden, Photographic Study, Early 1860s. 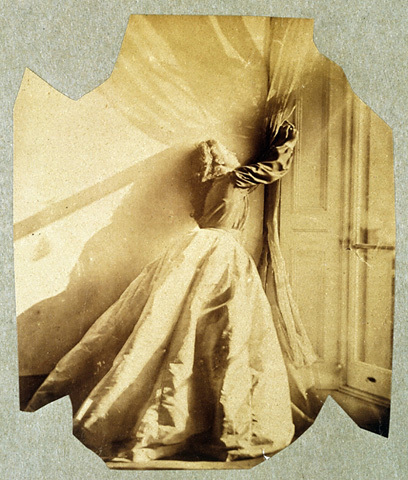 Lady Clementina Hawarden, Photographic Study, c. 1863. 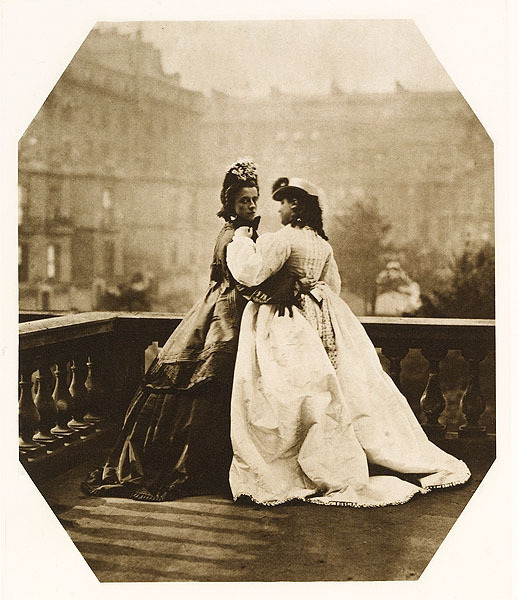 Lady Clementina Hawarden, Daughters on a Balcony, c. 1865. 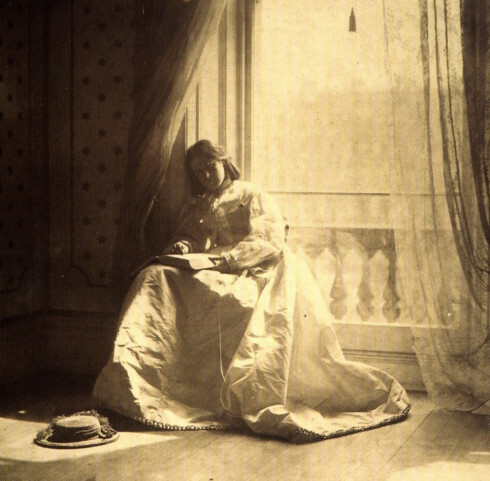 Clementina Maude by Window, c. 1862. 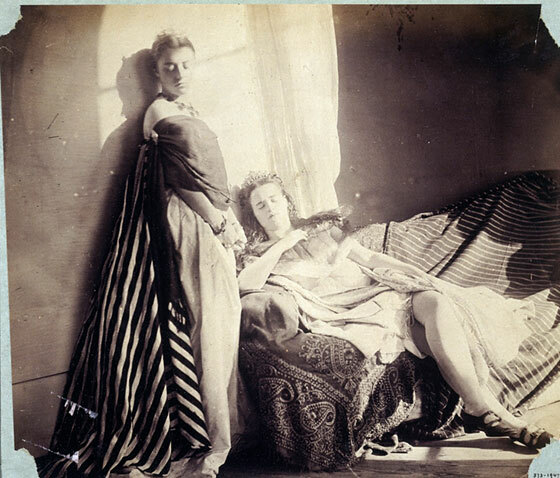 Isabella Grace and Clementina Maude, c. 1863. 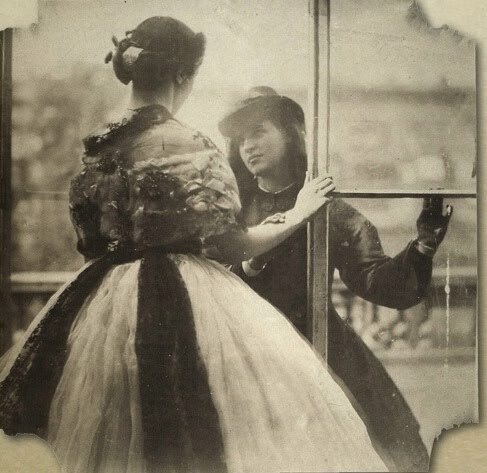 Lady Clementina Hawarden, Clementina Maude, c. 1862. 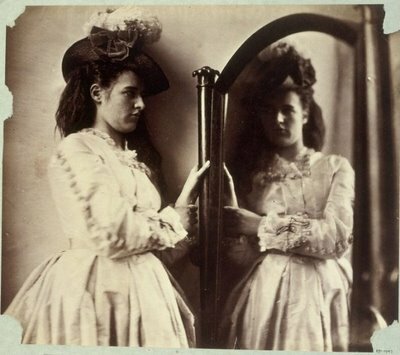 Lady Clementina Hawarden, Isabella Grace and Clementina Maude, c. 1863. 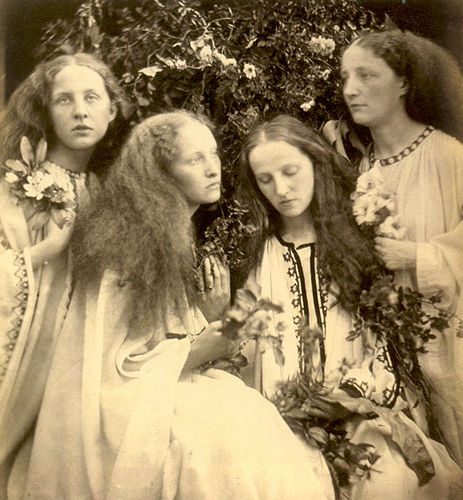 Julia Margaret Cameron, Rosebud Garden of Girls, 1868. 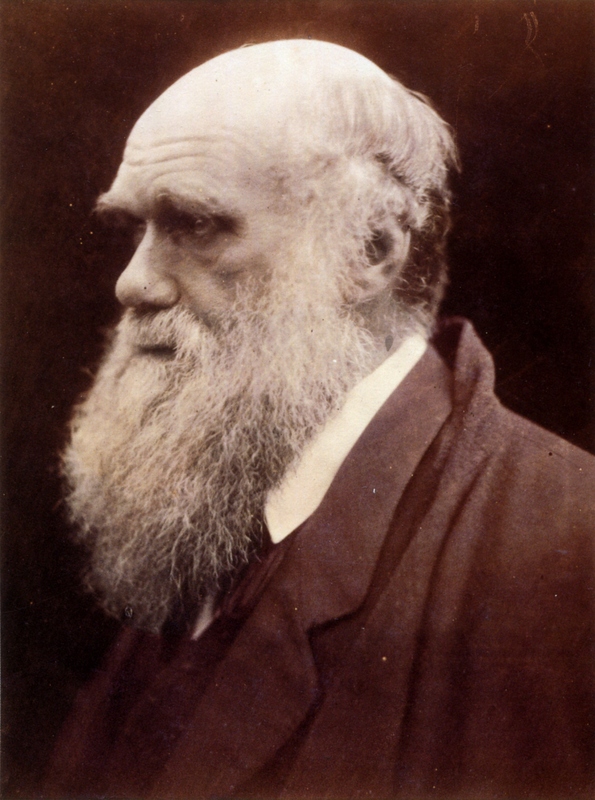 Julia Margaret Cameron, Charles Darwin, 1868, printed 1875. 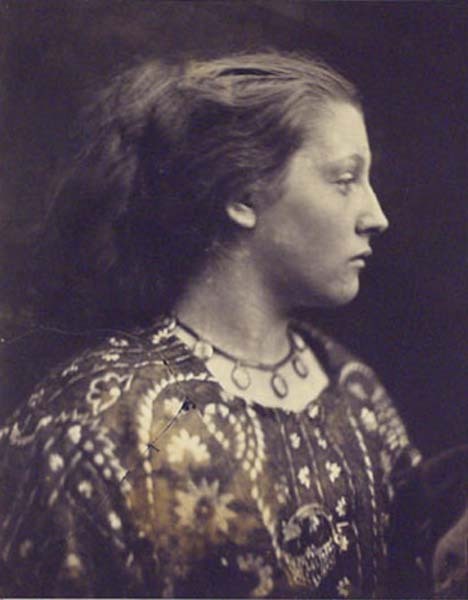 Julia Margaret Cameron, Sappho, 1865. 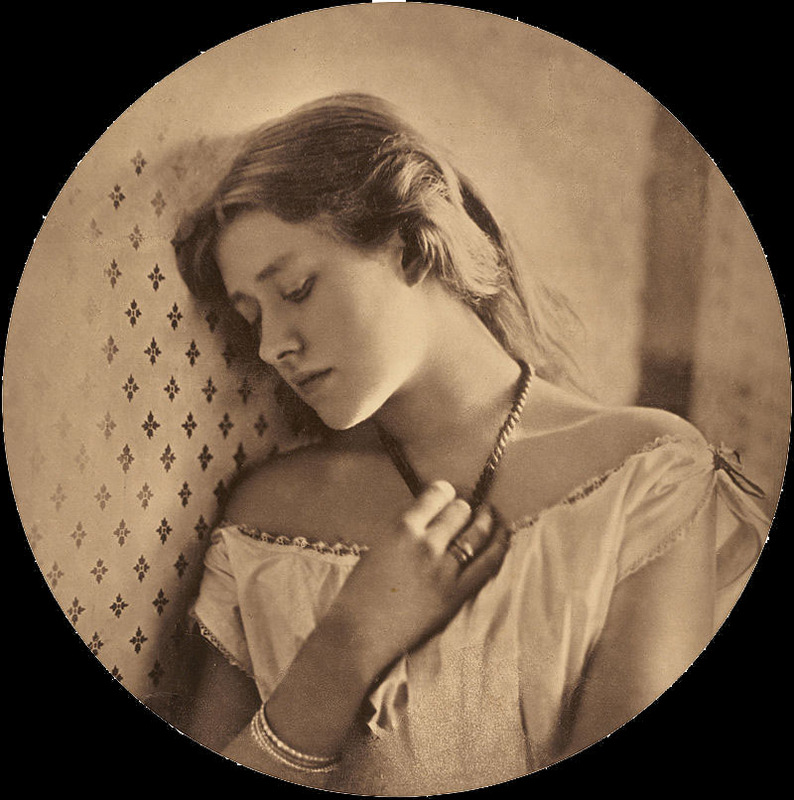 Julia Margaret Cameron, Ellen Terry at Age 16, 1864. 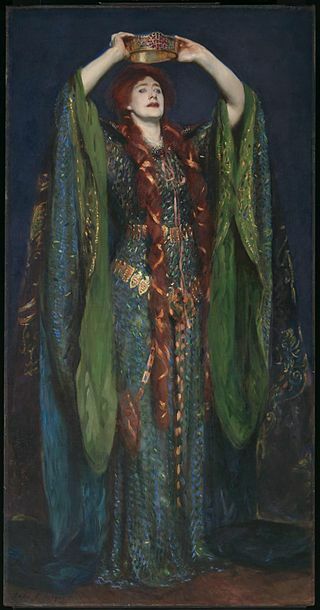 John Singer Sargent, Ellen Terry as Lady Macbeth, 1889.